Provide comfort for the family of Curtis Ray Cobb with a meaningful gesture of sympathy. 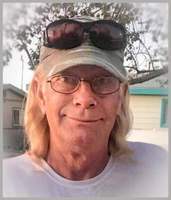 Curtis Ray Cobb, 62, of Alamogordo, New Mexico entered eternal life Tuesday, February 5, 2019 making his final ride home in Andrews. Texas. Family and friends will gather to celebrate his life at a Celebration Service at 11:00 AM Saturday, February 16, 2019 at The Gathering Place Church, 1601 Hawaii Ave, Alamogordo, New Mexico with Pastor Don Hoffman officiating. Co-Workers of Brady Trucking and The Patriot Guard Riders will be in attendance. Cremation services are under the personal care of McNett Funeral Home in Andrews. Texas. Please celebrate his life by visiting www.mcnettfuneralhome.com. Curtis was born on November 26, 1956 in Klamath Falls, Oregon to Robert Eugene Cobb and Alice Marie Swafford Cobb. He attended Klamath Union High School, Klamath, Oregon. Growing up he lived in both Oregon, and Missouri. In 1974 Curtis enlisted in the United States Army, and served in the B Trp 1/10th Cav HQ FORSCON FC, Co. He was Honorable Discharged in 1980. Curtis then moved to Illinois where he worked on a local Turkey Farm. Curt was a nomad and loved to travel by motorcycle. His traveling brought him to Alamogordo in December of 1984. In Alamogordo, he spent time working as a masterful craftsman doing construction for over 15 years. On August 19, 1992, Curtis married Deborah Cassidy in Alamogordo and together they raised their children and granddaughter. In 1997, Curtis began his Long Haul (OTR) Career that spanned over 20 years. Curtis obtained his CDL with Swift Transportation and drove as a company driver before becoming an Owner-Operator. He returned home and drove for Basin Pipe and Metal for several years before hiring on with Brady Trucking in the Odessa, Tx. Together, Curtis and Deborah raised their family to serve the lord Jesus Christ. Curt enjoyed spending time with his family, friends, and co-workers. He was able to hold a conversation with anyone and tell you stories that would make you laugh, and he will always be remembered for his sense of humor, his puns, and jokes. Curtis was also extremely knowledgeable in historical facts especially on the world wars, and he also loved music of all genres. He loved helping people and encouraging his family, he was always there for you in your time of need with an encouraging word, or anything else you may need. 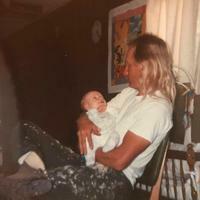 He had a profound work ethic that he passed on to his children, as well as passing down his quick wit, and quirky humor. He often would wake up the kids on Saturday mornings blaring his favorite songs on his stereo. Curtis was often found reading and studying scripture. He was a poet and had the pen of a ready writer. Curtis was Passionate about Serving the Lord, and being the Head of his House and providing for his family. Curtis was self-less in so many ways and he will be missed. Curtis is survived by his wife of 26 years, Deborah Cassidy Cobb, Son Jesse David Cobb of Alamogordo, Daughter Naomi Ruth Cobb, USAF of Barksdale LA, Mary Elizabeth Cobb and Granddaughter Lilyah Jean Rutledge-Cobb both of Alamogordo. Caroline Lucille Niehaus, Sister, and Paula Cobb Step-Mother both of Mt. Vernon, Mo. He was preceded in death by his parents Robert Eugene Lee Cobb, and Alice Marie Swafford Cobb. After the Celebration Service, the Cobb Family wishes for all Curtis’s family, friends and Co-workers to join us in a Pot Luck Luncheon to further visit and share in our time or remembrance of Curtis. And even though we know Curt is with the Lord, we are human enough to wish he were still here with us. We thank the Lord God, for allowing Curt to touch us with his life, and know he will forever have his life imprint on us. Memorials may be sent to the National Coalition for Homeless Veterans (HCHV). 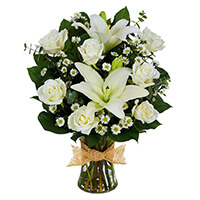 To send flowers in memory of Curtis Ray Cobb, please visit our Heartfelt Sympathies Store. We encourage you to share your most beloved memories of Curtis Ray Cobb here, so that the family and other loved ones can always see it. You can upload cherished photographs, or share your favorite stories, and can even comment on those shared by others. Brita & Brenda sent flowers to the family of Curtis Ray Cobb. We are wishing you all the best in this sad time. My heart and our prayers go out to you all. Love you all very much. No words can express our heartfelt condolences to you and your family we are sadden to hear of your loss, may time heal your heart. Much Luv. Brita & Brenda purchased the Tribute Mixed Vase Arrangement - All White for the family of Curtis Ray Cobb. Paula, Caroline & Jeff Sorry for your Loss. God bless you and keep you safe.